Historically the civil justice system in England and Wales has operated under a ‘loser pays’ model, whereby the unsuccessful party to litigation covers the costs of the successful party. This can lead to high costs for the unsuccessful party. In recent years, increasing consideration has been given to the idea that the costs paid by the loser should be fixed. Fixed Recoverable Costs (FRC) prescribe the amount that the winner can claim back from a losing party in civil litigation. These legal costs are set in advance by reference to grids of costs. Thus FRC have the advantage of giving both parties certainty as to the maximum amount they may have to pay if they are unsuccessful in their case. FRC can also ensure that the costs of cases are proportionate to the sum in issue. FRC currently operate in most low value personal injury cases. The government and senior judiciary announced their support for extending FRC in November 2016, and Sir Rupert Jackson, then a judge of the Court of Appeal, was commissioned by the senior judiciary to develop proposals. 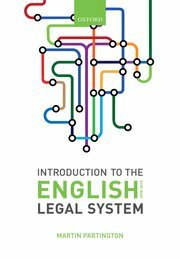 Sir Rupert’s report, which was published in July 2017, follows on from his major report of 2010 looking at civil costs more widely, which led to significant reforms to controlling costs, including ‘no win, no fee’ reforms in the Legal Aid, Sentencing and Punishment of Offenders Act 2012 (LASPO). Sir Rupert’s July 2017 supplementary report which focuses on the extension of FRC, completes his recommendations. (See this blog, 29 September 2017) The Government has now decided that the time is now right to consider the extension of FRC to more cases, on the lines recommended by Sir Rupert. Expanding the fast track to include the simple ‘intermediate’ cases valued £25,000–£100,000 in damages. The Consultation runs until 28 June 2019.